The crystal clear water of the Kispiox River becomes a frenzy of activity during the frequent salmon runs. 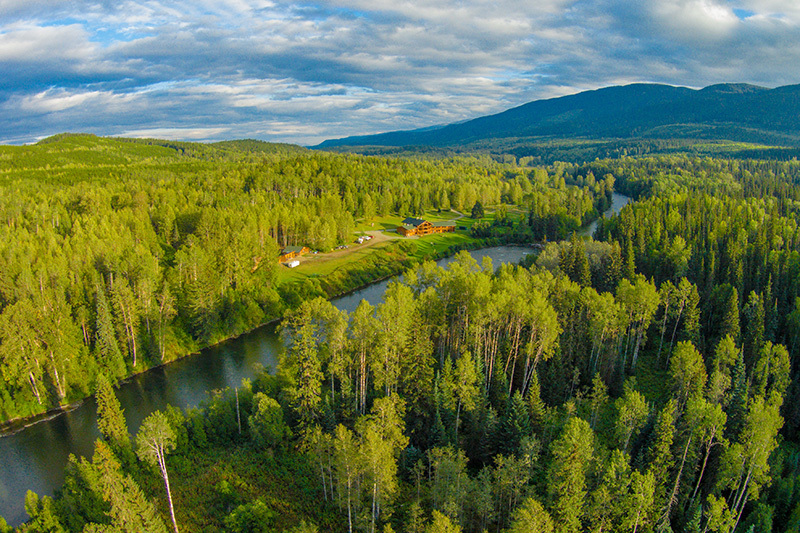 The abundance of healthy fish reflects the clean environment of the river valley where you’ll find Bear Claw Lodge. 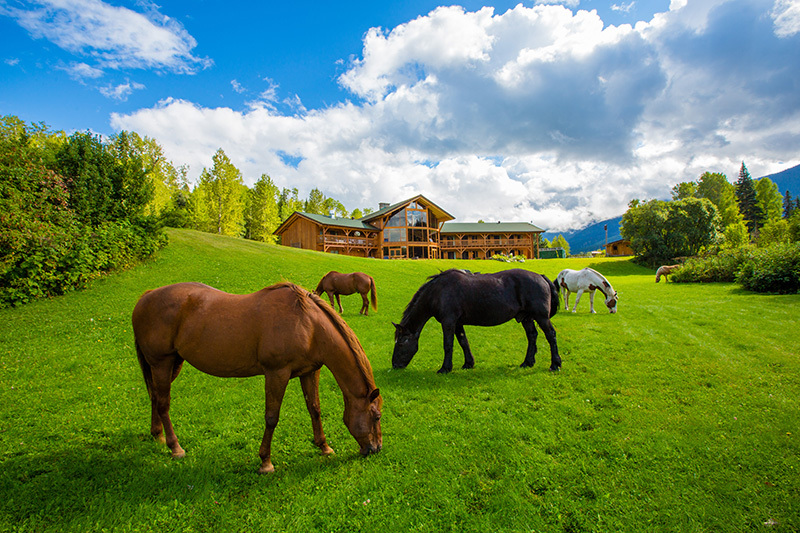 In perfect harmony with its surroundings, the luxury family owned and operated lodge offers an upscale BC wildlife encounter where other locals include grizzly bears, wolves, moose and black bears. This five day wilderness holiday is not only an immersion into pristine nature, but also a meeting with first nation culture with the chance to view local totem poles which the region is famous for. The holiday can be tailored to your requirements. 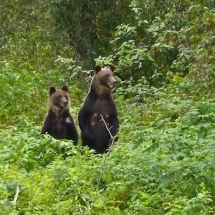 Arrive early into Smithers Airport to be greeted by your hosts at Bear Claw Lodge. 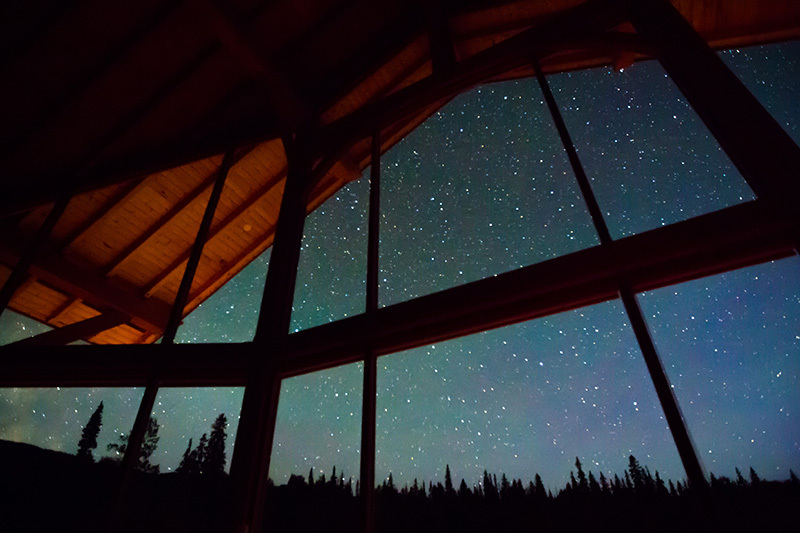 A scenic drive through the British Columbian Wilderness follows so that you arrive at the lodge late morning, giving you the whole day to acquaint yourself with the spectacular lodge. An introductory lunch is served in the lodge with your hosts explaining what wilderness adventures lay ahead before a tour of the lodge. Your stay includes all meals from arrival snacks and sumptuous dinners to a final farewell breakfast. The lodge features a guest friendly kitchen where each evening you are invited to sit and chat whilst the chef prepares your delicious dinner. 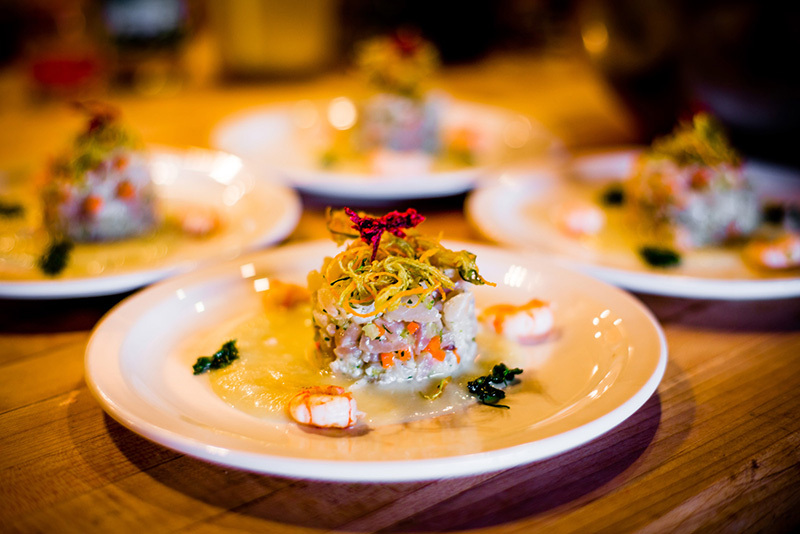 Using seasonal, local produce, the lodge is renowned for serving artistic, innovative and beautifully presented dishes. 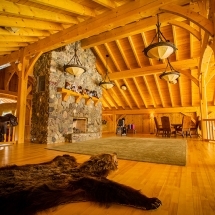 The Bear Claw Lodge is a luxury lodge located on the famous Kispiox River in Canada with views to a magnificient snow-capped Baldy Mountain. They offer a stay in an elite familiar environment. With only 8 guest bedrooms, the guests can enjoy exclusive luxury in a private setting. 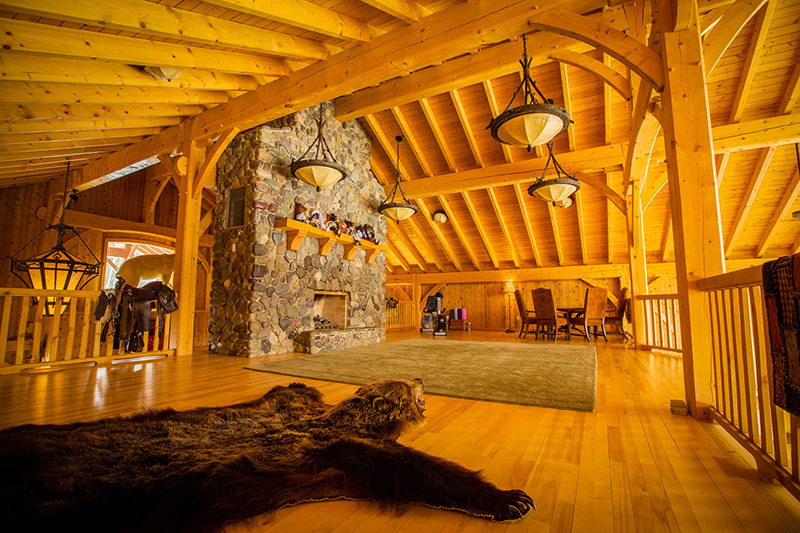 Throughout the lodge, their history and pristine wilderness is visible. 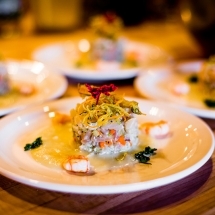 In the Bear Claw Lodge's restaurant, one may enjoy beautifully prepared, artistic and innovative dishes made from fresh ingredients from their organic garden. Some of the recipes have even been passed down through 6 generations of their families. 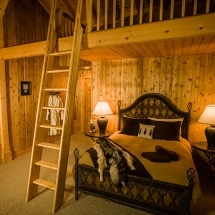 Each room in the Lodge is designed with a different local and unique theme. Bedrooms' sliding glass doors open to a stone walk balcony overlooking the river. 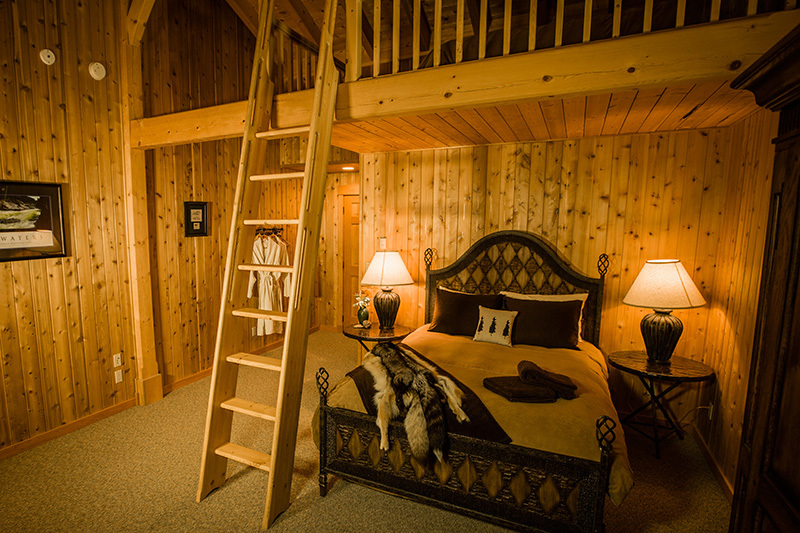 Each bedroom include handcrafted beds and furniture, private ensuite and plenty of space to relax and enjoy the scenery. There is also an outdoor, handicrafted cedar sauna available for the guests to use. Arise to a wake-up call with beverage at your bedside. 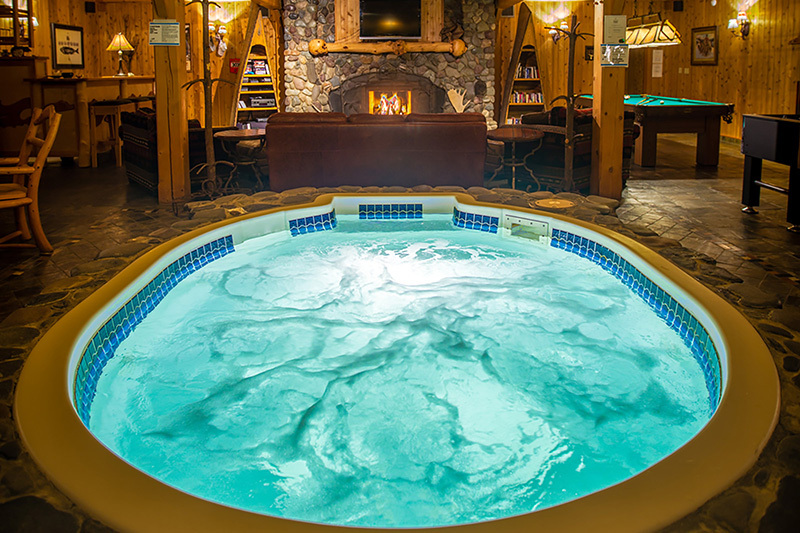 The family owned and operated lodge prides itself on exceptional, personalised service. Operating everything from check in to activity guiding, your hosts help create a relaxing and homely environment getting to know their guests are on a first name basis. 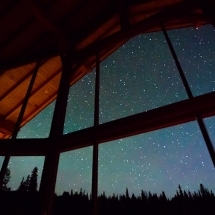 Bear Claw Lodge is the base for exploring one of British Columbia’s most stunning mountain valleys: Kispiox Valley, which translates to “The Hiding Place” in the native Gitxsan language. 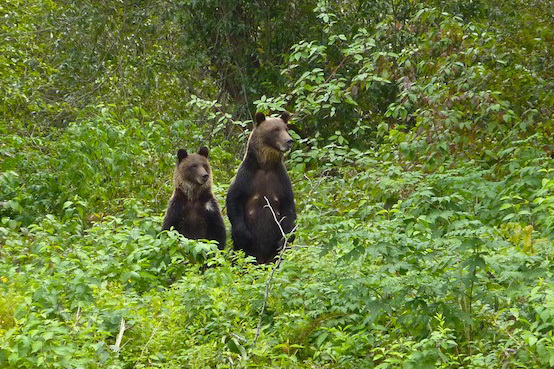 Today is your first full day to experience the wilds of British Columbia. The eco-lodge offers optional activities to make the most of your stay. Rafting The clear glacial waters of nearby Skeena and Kispiox rivers allows for a wide range of expeditions, from one to seven days. Explore the fascinating history of the region as you float through culturally important First Nations sites, exploring the waterways as the first pioneers may have. Enjoy campfire cooking, prepared with local seasonal ingredients. 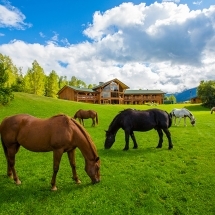 Horseback Riding With over 30km of well-groomed trails, meadows, river canyons and hills, the beautiful surrounding countryside is a horseback riding paradise. Bear Claw Lodge has operated in the horse industry for generations providing reliable and people friendly horses, perfect for any skill level. Salmon Fishing The long salmon season on the Kispiox River is easily accessible from Bear Claw Lodge, allowing guests to fish for Chinook and Coho. A guide is provided for every two anglers, meaning the trip is accessible for everyone from experienced anglers to families looking to enjoy the quiet of the British Columbian wilderness. Begin your day as actively or relaxed as you wish. Opt for one of the amazing activities on offer or simply relax in the handcrafted cedar sauna only steps from your room. The lodge are proud recipients of the Green Tourism Award, the world's mostly widely recognised sustainable tourism certification. 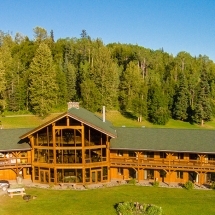 Reviewed by trained sustainability experts the lodge was awarded the certification for initiating changes including an off grid solar system, an extensive recycling system and no use of harmful fertilizers. 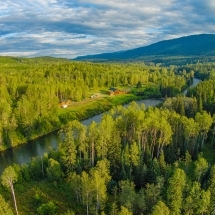 The remote wilderness lodge is the perfect luxury base to explore the expansive British Columbian wilderness. Choose to simply watch it all pass by from the comfort of the lodge, hiking along scenic mountain trails or along gentle lapping rivers. River float trips allow guests to spot mighty bald eagles perched on their favourite fishing spot, beavers eagerly building dams as well as larger wildlife including bears, moose and deer. An early morning farewell breakfast is served at 6am before your final journey through the Canadian wilderness to catch your onward flight. Extend your stay at the lodge or tailor your stay to be part of a larger road trip. Get in touch with the Magnetic North Travel team to find out more about tailoring your perfect Canadian Getaway.